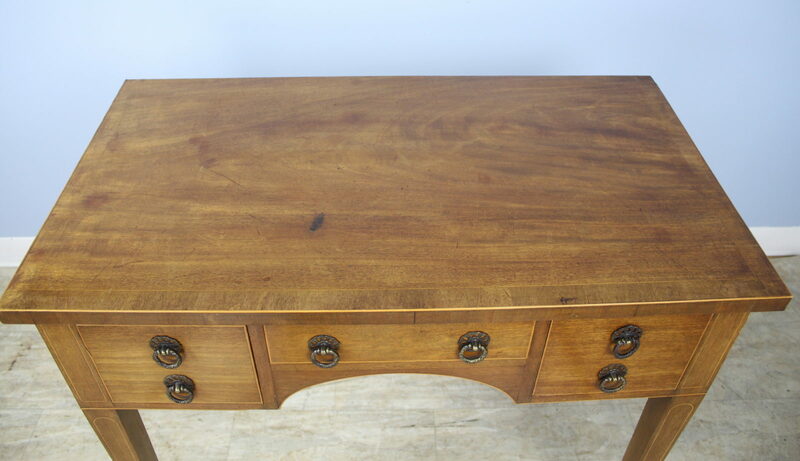 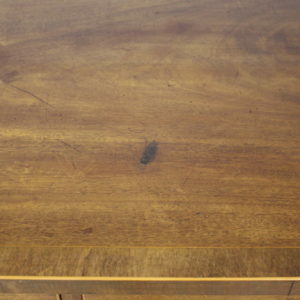 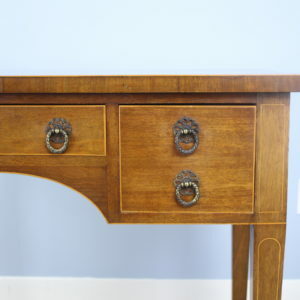 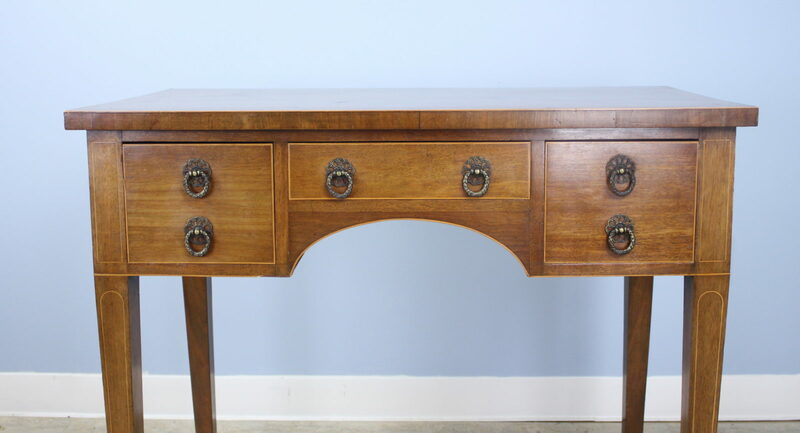 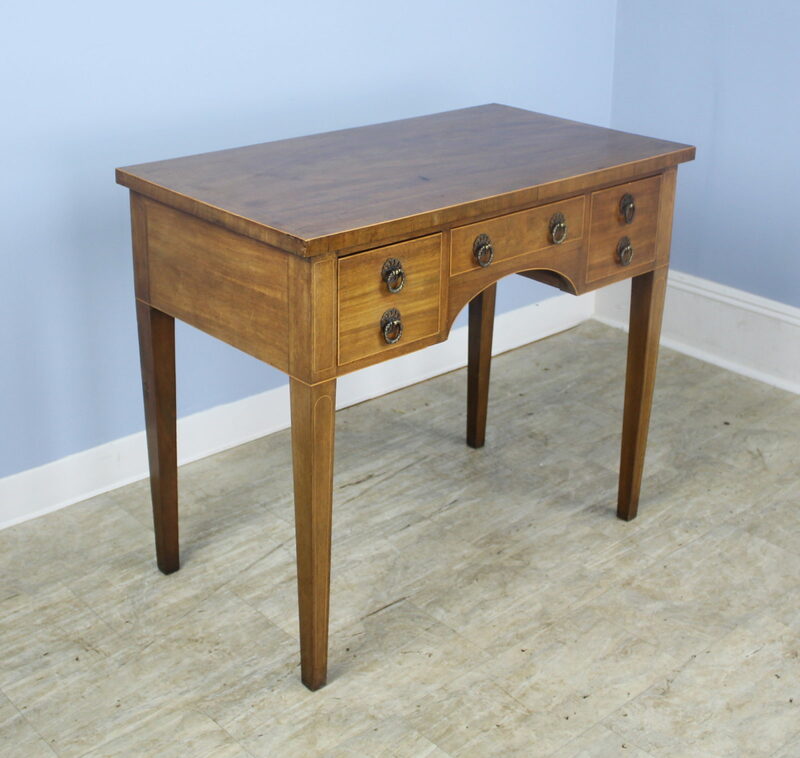 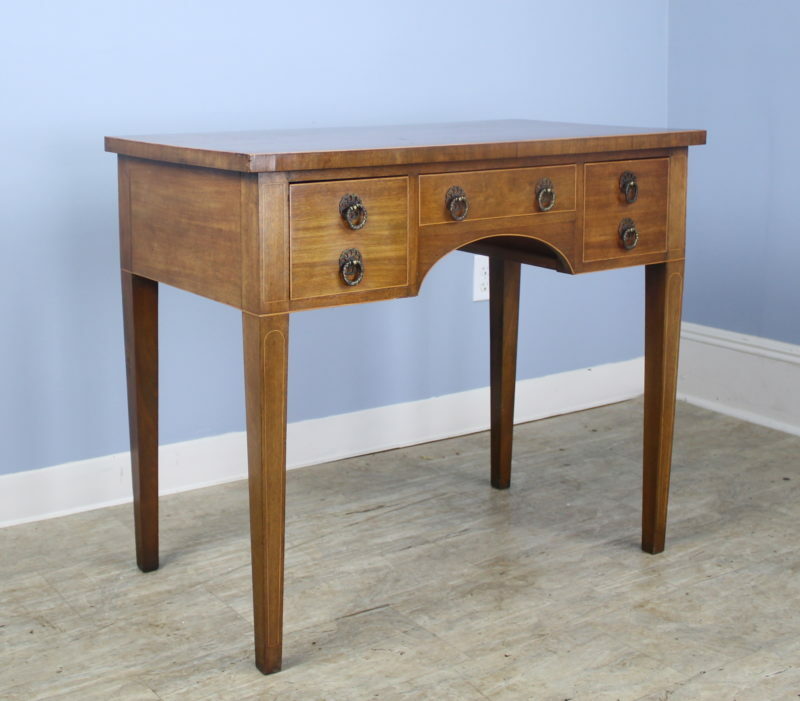 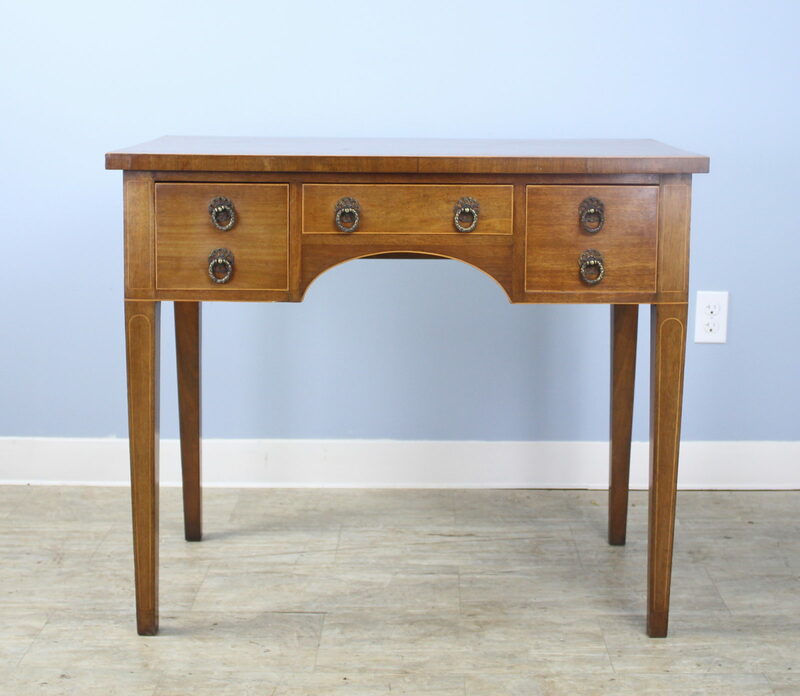 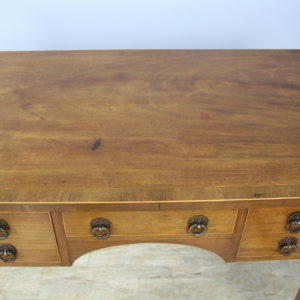 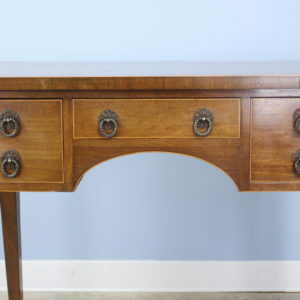 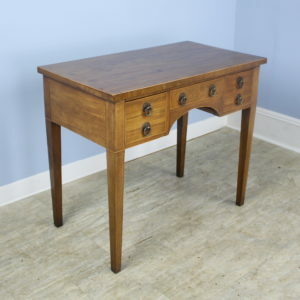 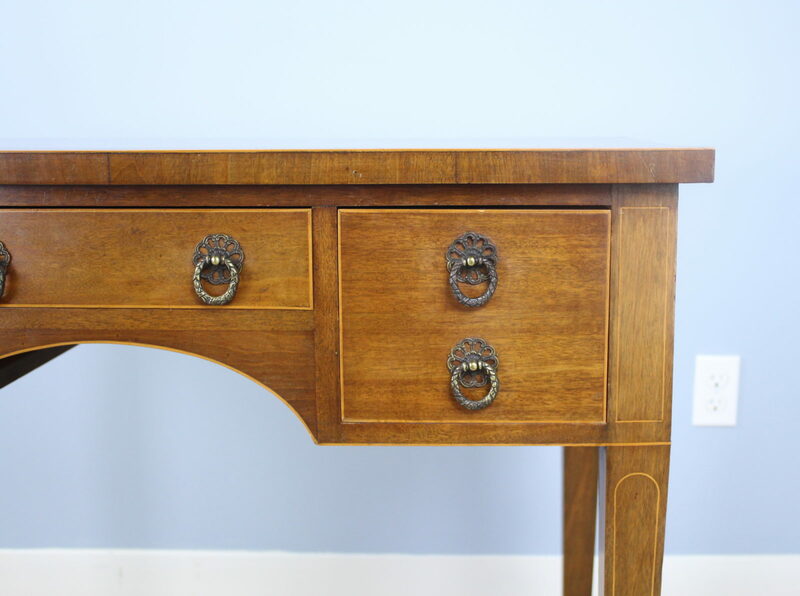 A lovely antique Georgian mahogany lowboy from England. 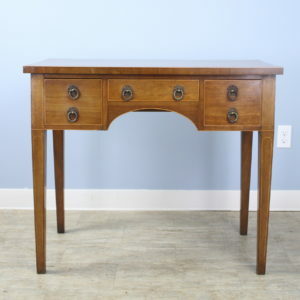 Very simple and elegant. 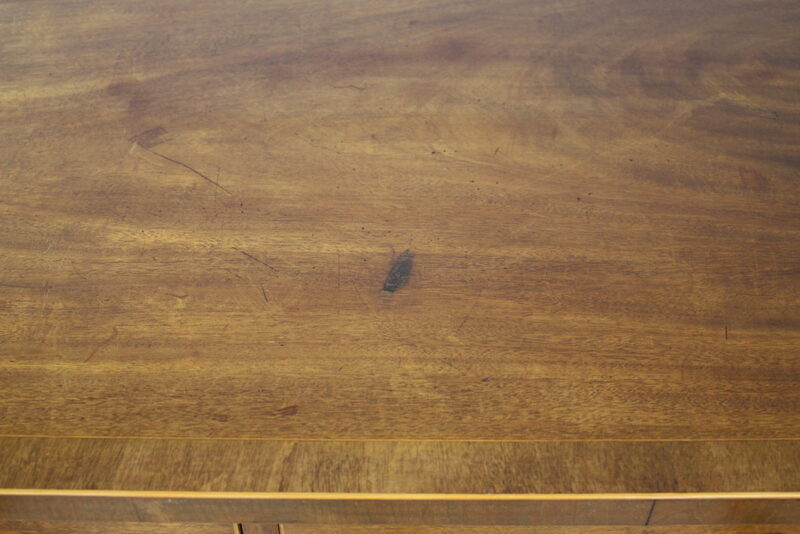 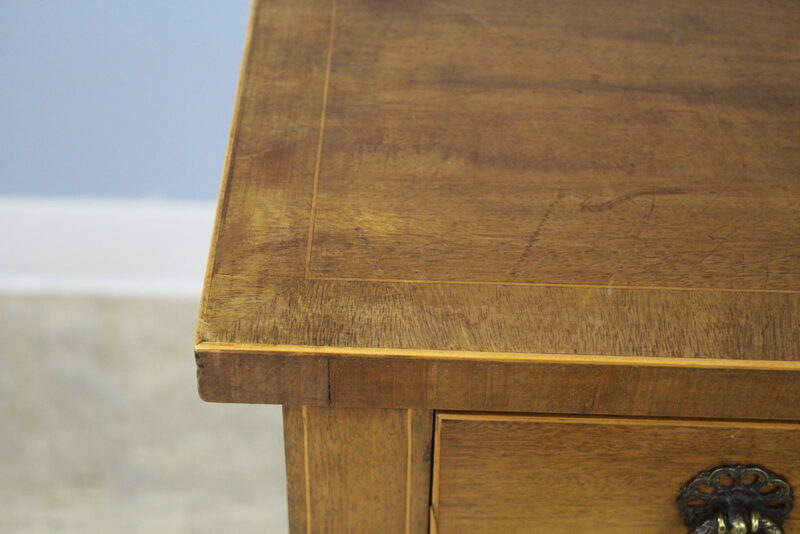 Note the attractive inlay on the legs and top and the crossbanded edge on the top. 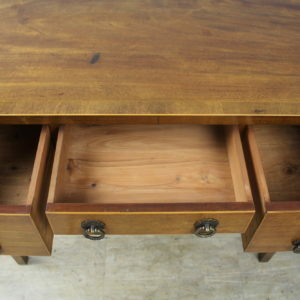 The mahogany is a beautiful warm color with a pretty grain. 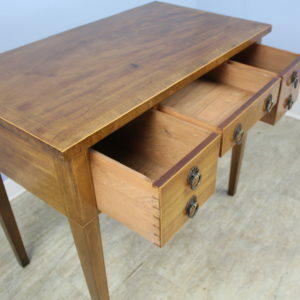 Makes a suitable lamp table, side table, or occasional table, or a nightstand. 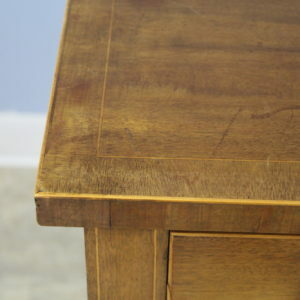 Also, this is a good height for a small desk, the somewhat tight for knees, with a small chair. 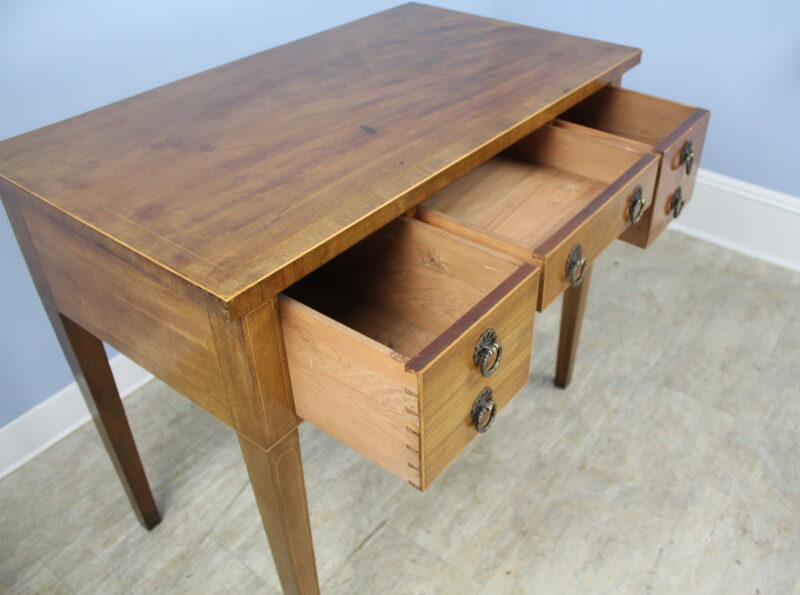 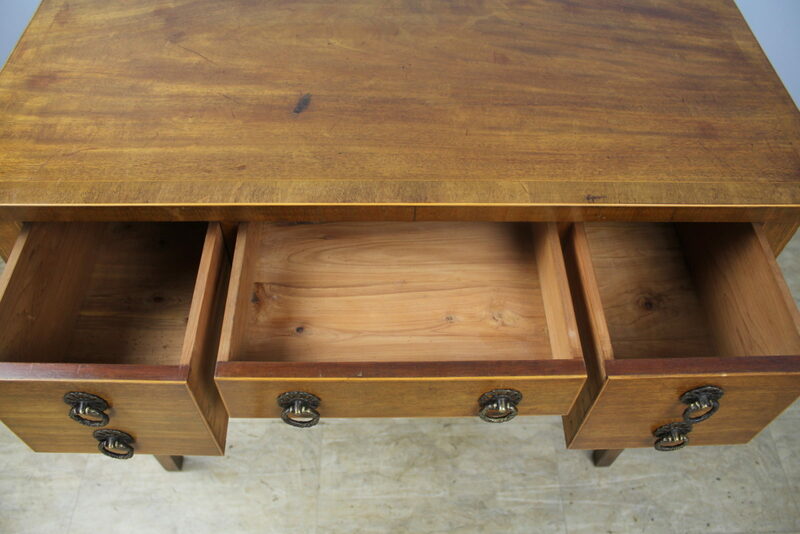 Note: There is a small area of distress on the top, and the interior of the drawers have been refreshed.